Save the Eagles International (STEI) issues a biodiversity warning concerning the California Condor. Having spent tens of millions of dollars of taxpayers’ money to recuperate the species, politicians are now allowing its habitat to be invaded by hundreds of wind turbines, of the kind that are killing 2,000 vultures a year in Spain (1). But if Spain has a population of 40,000 vultures, there are only 400 California condors, most of them likely to have close encounters with Kern County’s projected wind turbines at some point in their long lives – unless the birds are kept captive, as many presently are. 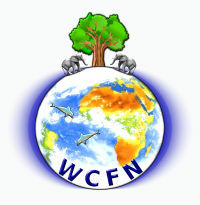 The North-American Platform against Windpower (NA-PAW) and the World Council for Nature (WCFN) hereby join STEI in this warning. As reported by Forbes Magazine last month, U.S. Fish & Wildlife Service biologists have alerted Kern County officials to the fact that most of the wind projects on their drawing board, as well as at least one existing wind farm, are a threat to the Condor. “The service requests that the county of Kern exercise extreme caution in developing wind energy within the Tehachapi area because it falls within the range of the California condor,” has warned senior biologist Raymond Bransfield (2). But county officials are now poised to approve lethal wind turbines where condors fly. Humans are not treated differently: health and other adverse effects on local residents are also being overridden to meet Sacramento’s green energy targets. “Condors can travel 200 miles in a day”, said Jesse Grantham, the California condor coordinator for the Fish & Wildlife Service, “as the bird forages for food or takes a road trip on a whim to satisfy its curiosity. The condor has evolved to be attracted to novel objects and activity as it must constantly scour vast landscapes for its dinner” (2). Adds Mark Duchamp, president of STEI: “in view of this, it doesn’t take a rocket scientist to predict they will be attracted to wind turbines, and die in their arms as do golden eagles. Dead birds under the turbines will be another fatal attraction. The Fish & Wildlife Service has opposed many projects in Kern County, but county officials deny that condors fly where FWS biologists say they do. Through denial of expert advice, they have given the green light to dangerous projects. Forbes Magazine gives the Catalina wind farm as an example: “We do not agree with your conclusion that California condors are ‘absent’ from the project area,” wrote Diane K. Noda, a field supervisor, in a letter to the county” (2). Yet the project was approved, and others just as nefarious, not to speak of a mega power line across condor habitat, laments Save the Eagles International. Last October the Sierra Club and two other environmental groups sued Kern County over its approval of a 300-megawatt NextEra Energy Resources wind farm that state and federal officials warn poses a high risk to condors (2). Duchamp warns that golden eagles too are at risk in Kern County, as many wind turbines will be placed in their breeding ranges and dispersion areas, the latter being hunting grounds shared by young eagles, like Altamont Pass in Northern California. “The cumulative effect on California’s golden eagle population will be disastrous”, he says. (1) – An estimated 2,000 vultures are killed annually by wind turbines in Spain. (4) – The Spanish Ornithological Society (SEO/Birdlife) wrote (translation): we were able to verify the occulting of bird carcasses by wind farm employees, who perhaps thought that their jobs depended upon the number of birds being killed in their wind farms, and that behaviour reduces the mortality rate shown in monitoring studies.